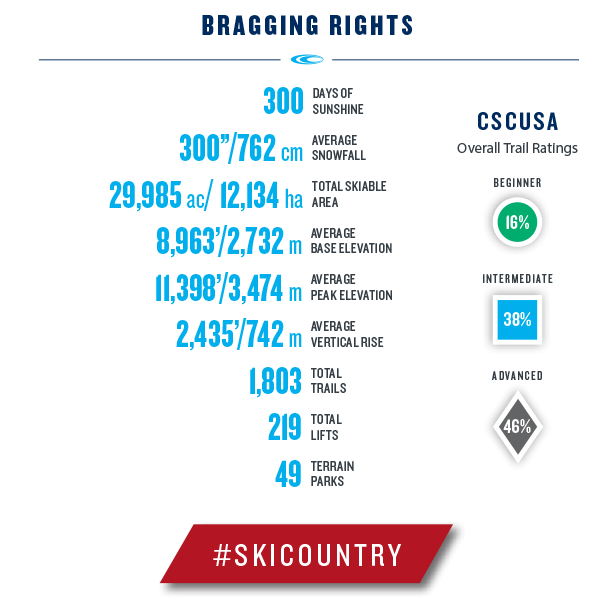 Discover more Colorado Ski Country Bragging Rights on our Facts & Stats Page! Colorado is home to the world's best skiing and snowboarding. Heavy snowfall and majestic mountains make Colorado ski resorts the perfect place for skiers and snowboarders of all levels. Colorado has a wide variety of terrain, making these Rocky Mountain resorts an attractive destination for any skier or snowboarder. Colorado also offers unparalleled ski schools, sunshine, and historic ski towns. Check out any of the 23 resorts below and explore the endless number of possibilities that could be your next winter vacation.